Deeply moisturizes and nourishes. 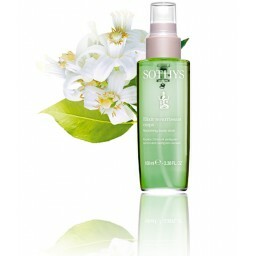 Replenishes skin's natural moisture barrier. Boosts skin's defenses with antioxidants. Softens and smoothes. Sothys Lemon and Petitgrain Escape Nourishing Body Elixir richly moisturizes and replenishes skin, while providing a veil of antioxidant protection. Sothys Lemon and Petitgrain Escape Nourishing Body Elixir absorbs quickly, leaving behind only a silky soft feeling with no residue or shine. Helianthus annuus (Sunflower) seed oil, Dicaprylyl carbonate, Parfum (Fragrance), Limonene, Glycine soja (Soybean) oil, Tocopherol, Citral, Geraniol, Citronellol, Alphaisomethyl ionone, Eugenol, Linalool, CI 61565 (green 6). Best Eyecream, worth every cent! !